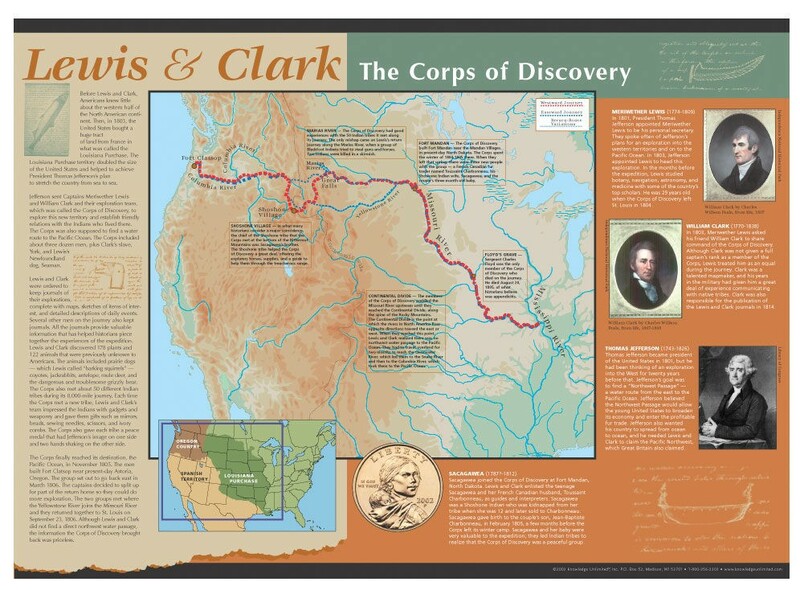 In 1804, Meriwether Lewis and William Clark and their Corps of Discovery departed St.Louis, Missouri, and headed into the unknown. Their goal was to find a water route from the established United States to the Pacific Ocean. 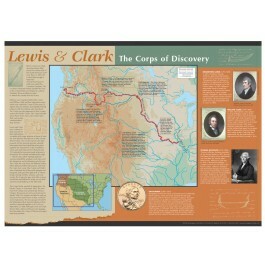 This colorful map traces their famous journey through the Louisiana Purchase and the Oregon Territory, Highlighting some of the group's encounters with American Indian tribes, rough waterways, mountains, and wild animals.